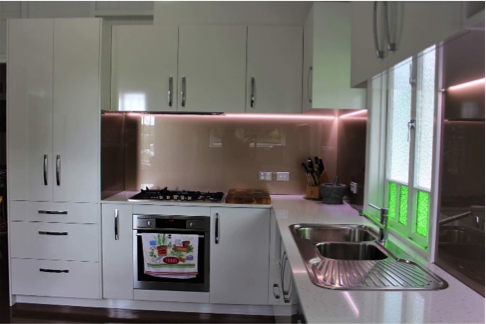 Today we’re going to show you an example of modern and affordable kitchen makeovers in Brisbane and just how one of our clients transformed their kitchen in just 5 weeks for $27,000. 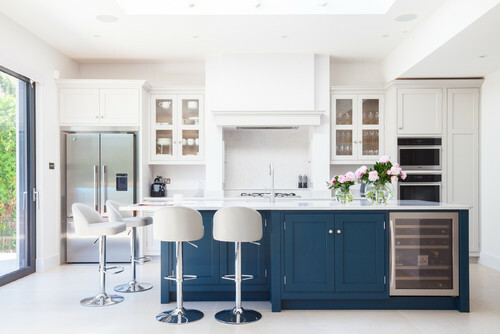 Exclusiv Kitchens have a step by step process we follow, which we’ve called “the Exclusiv Makeover Machine” that enables us to deliver completed kitchen makeovers in weeks rather than months. Every kitchen makeover starts with us visiting our client’s home, measuring their kitchen area and discussing their design ideas. On this occasion, it was our fabulous designer, Stacie that visited the Rollo’s home in Yeronga on the 20th Feb 2017. 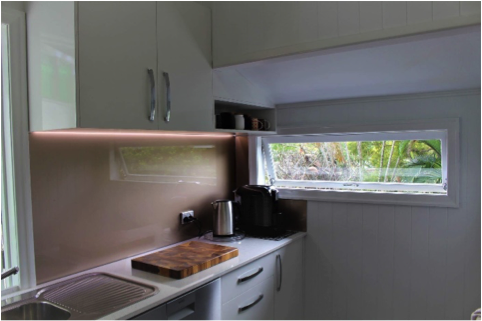 Having met with the Rollo’s, measured their kitchen space and discussed their makeover ideas it was now time for Stacie to get on with designing the kitchen. Stacie invited the Rollo’s to our showroom in Gaythorne at 2/440 Samford Road on the 28th Feb 2017. The first design is never final and as expected, the Rollo’s wanted several changes. The sink location was moved back to the existing location. The Pantry configuration was change from a double door pantry to a split pantry consisting of three bottom drawers and the doors at the top. 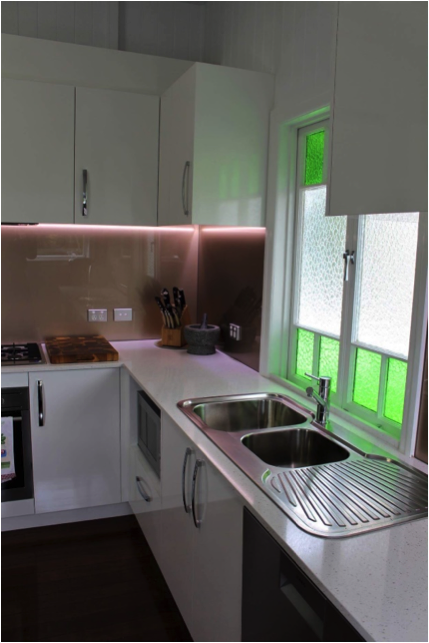 Finishes and bench top colours were changed and finalised. 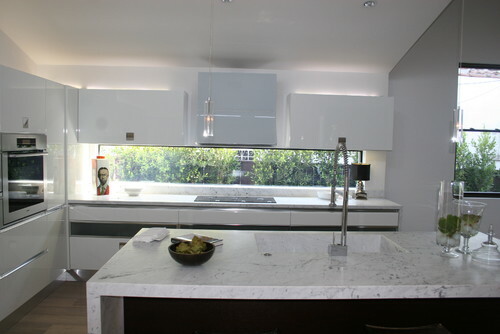 Stacie and the Rollo’s worked together to design the perfect kitchen. The Rollo’s continued to visit the showroom and make changes until they were happy with the design. The Rollo’s were very happy with their final design and price. They were wanting to proceed to the next stage where a contract is typed up and signed by both parties. 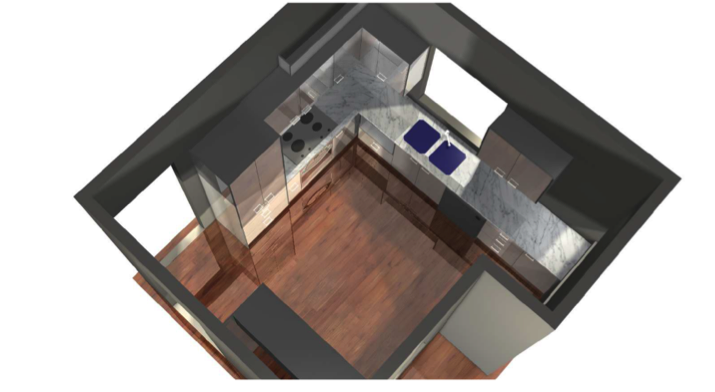 Once the client has confirmed the design, paid the deposit and is happy to proceed with ordering their new kitchen (by signing the contract), our Cabinet Maker must come to site to complete a check measure. The check measure ensures that we have the correct details concerning measurements, colours, materials, tradesmen, etc. The cabinet maker will then confirm his details and cross check the order. Once this is complete he will place the order. 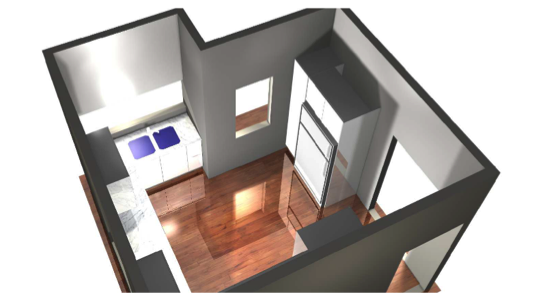 Note this process is subject to the availability of both the client and cabinet maker. 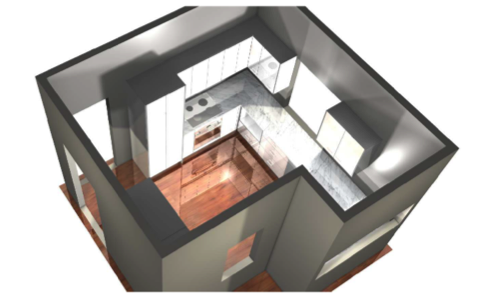 Our kitchen design software syncs without local manufacturer in Brisbane. So, when the Rollo’s were happy with their final design we placed the order with our manufacturer. 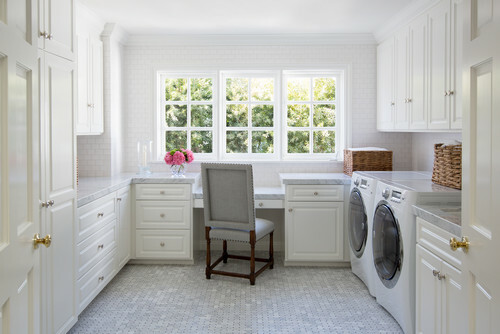 Our manufacturer uses laser technology to cut and assembly the cabinetry and install the hardware (soft close) resulting in a very high quality product. 3 weeks later the kitchen was complete and sent onsite. We had organised to remove the existing kitchen the day prior to this to ensure our installer could install that day. 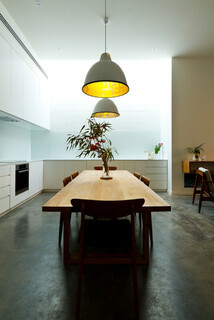 He was as planned able to complete the kitchen cabinetry within the day. Our stone mason was notified of the kitchen progress and came onsite to do his template measure. He was able to return to the Rollo’s in a week to install the final polished stone. 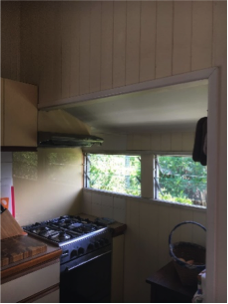 We had reviewed so many kitchen plans in magazines and over the internet that we were totally confused with how we could renovate our kitchen which had two doorways, an old stove recess and windows that were below bench height. 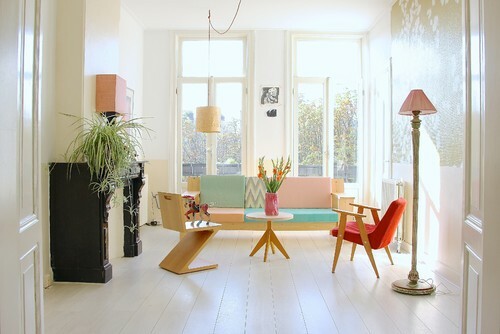 Everything was designed for modern homes. Stacie at the Gaythorne showroom worked with us through numerous designs to fit in our “wish list” within the space available. There was no pressure for us to rush into a commitment as we made our decision. Stacie was a pleasure to deal with. All the installers were professional and we are happy with the standard of their work. We are very happy with the end result and feel we got good value for the budget we had available. We loved working with the Rollo’s. They’re a lovely couple and we just wanted to publicly thank them for their business. Well there you have it, a complete kitchen makeover in just a couple of weeks. All thanks to the Exclusiv Makeover Machine process. There aren’t many kitchen companies in town that can match our time to complete and our price!! 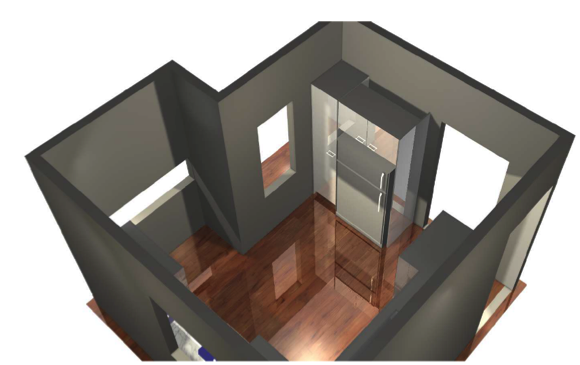 If you’d like to talk with one of our friendly designers, please call us on 1300 865 954. This week we thought we’d highlight some news we’ve been sharing on Facebook. If you’d like to keep up to date with the latest kitchen news then like our Facebook page. We regularly share interesting articles. 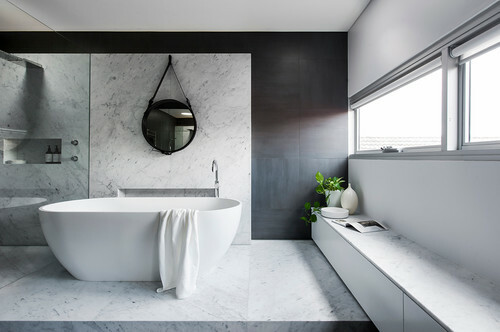 Can You Tell the Difference Between Carrara and Calacatta Marble? 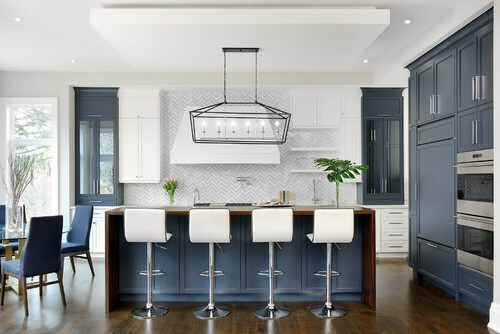 Last week there was a fantastic article posted on Houzz titled Rein In and Splash Out: How to Budget for a Kitchen Renovation. We liked the article so much that we decided to post some of what we felt were the most important points. 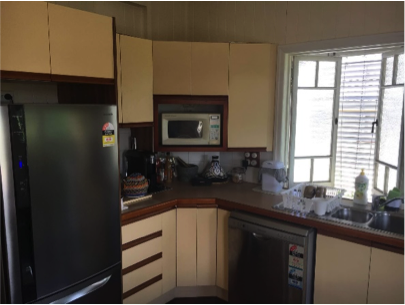 This was a practical tip suggesting you go through everything in your current kitchen and dispose or sell everything you don’t need – the idea is that you’ll then need less cabinets. 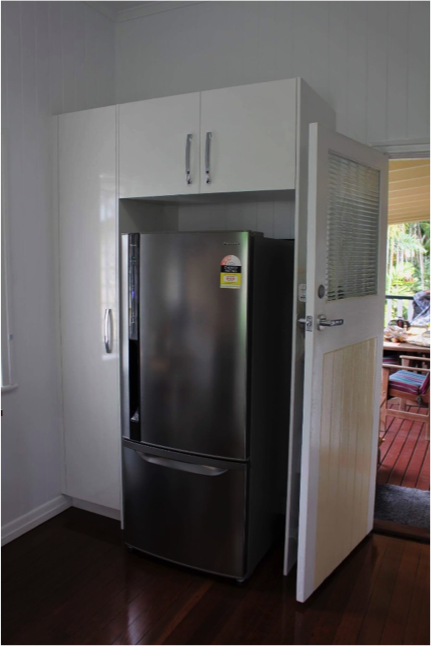 Not necessarily the quality of each appliance but more likely the amount of them – do you really need everything! 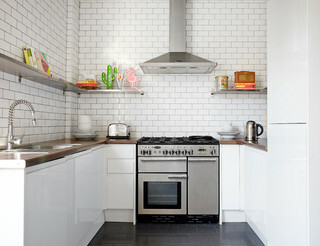 These are the must haves: stovetop and oven, fridge-freezer and dishwasher. 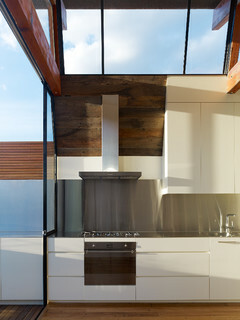 Simple enough this is because benchtops give an instant wow factor! 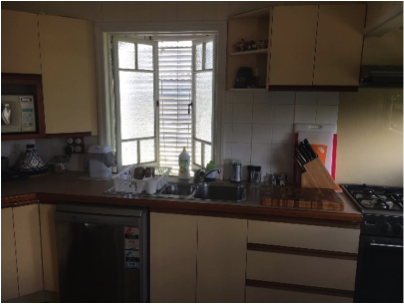 Check out our kitchen reno process here. You can get a clean, sharp look with sheet metal or low cost tiles! Since your kitchen is so well used and the centerpiece of most homes it makes sense to spend more on high quality lighting. There are simply better areas to spend your money. 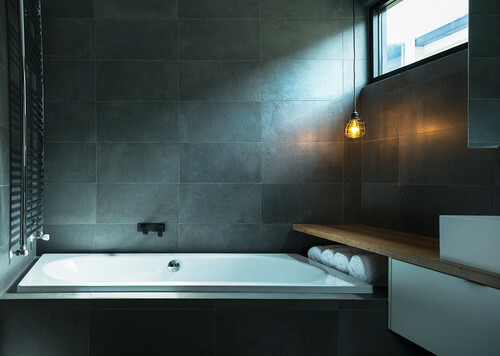 High quality slate tiles or poured concrete are great options. Well that’s it. 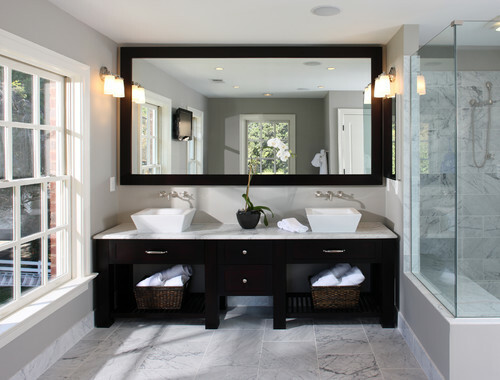 We hope you enjoyed this summary of another fantastic article on Houzz. Let us know in the comments what you would spend your money on and how you would save your money. 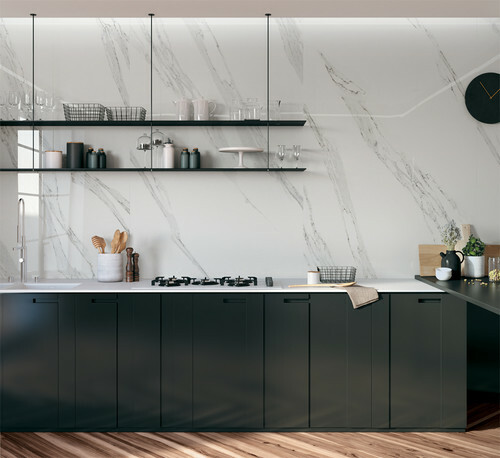 Well there’s the latest kitchen and bathroom news… take a look at the article about the biggest kitchen blunders and make sure you’re not making any of these mistakes.